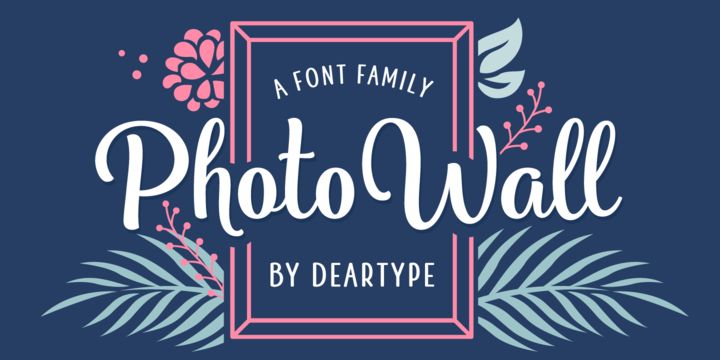 PhotoWall is a handwriting typeface created by Veneta Rangelova and published by DearType which is available in 4 widths (Sans, Poster Sans, Serif, Poster Serif) each with 4 weights. This versatile, elefant font was designed to be suitable for poster, card, logo, packaging, invitation, editorial projects, print but also for web applications. Also it comes with a wide range of useful OpenType features. Cannot miss it! A font description published on Monday, October 24th, 2016 in DearType, Fonts, Veneta Rangelova by Alexandra that has 3,110 views.